It's not often that we get see Brendon and Sarah Urie gracing the red carpet so you can only imagine the high-pitched squeal we let out when we saw them both walking down the red carpet tonight at the 59th Grammy Awards in Los Angeles. 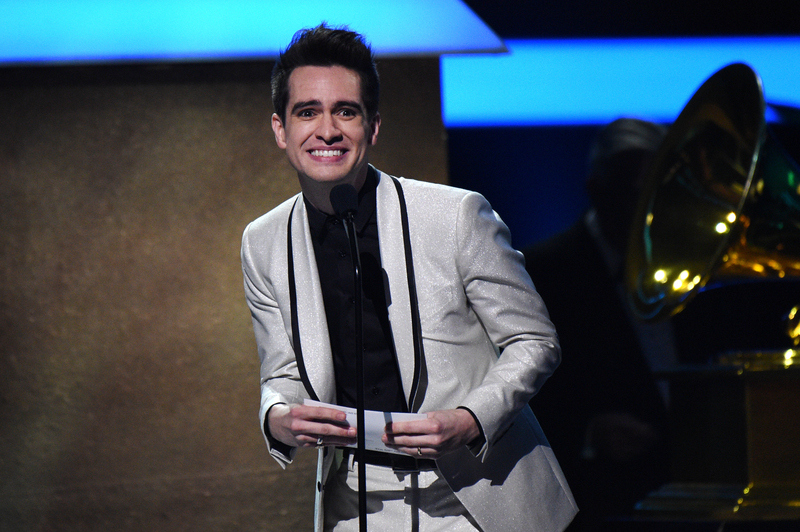 Brendon Urie was up for an award in the Best Rock category and despite not winning, he looked like he was having a great time at the event. Here's a sneaky pic of Brendon a fan managed to snap before the show. Sarah might want to watch out, as there is a guy in town trying to steal Brendon's heart...and it looks like he's winning. Have a good night, Brendon!